Well, what is the weather like in your 'neck of the woods?' On Cape Ann MA the weather has not gotten out of 'winter' for but a day or two. Snow arrived this week again. Tis life in New England in the US of A. Your posted comments delight us in every way. Things are warming up here. The snakes are beginning to come out and the ticks are bothersome. Winter is over. Lovely photos, and a good haiku :). I love the ducks !!! The weather is awfully here too. Grey, cold and snow coming again. We long for spring. No snow here but it is cold enough that it could snow. Spring is slow arriving here despite what the calendar says. I love your haiku. Happy Spring anyway. "Quackers Meeting" - very funny! Wow, just found your blog from Blogpaws. It's very nice here and I will sign up to follow you. My husband and I are artists too, most of our work is on my other blog desertravenart.com. The birds look like they are in formation! Sorry to hear about your snow again! Still cold here too, but no snow, thank goodness. Next week I bet it will just jump to 90 degrees ;) Thanks for the visit! The new season is actually the old season of last year. 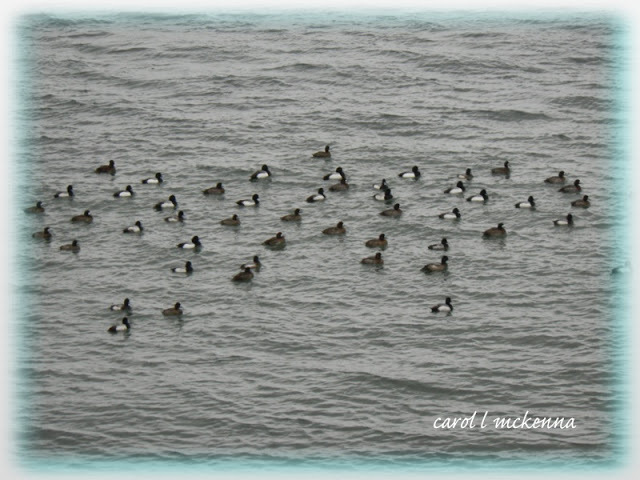 Thank you so much for hopping over to my site on this Wordless Wednesday. You and ArtDogMuse have such a beautiful, peaceful, and positive blog. Lovely. Where I am (South Louisiana) we had summer two days ago and winter today, with a little spring in the middle. Variety is the spice of life here! Always love your photos!!! ArtMuse Dog is just the cutest! Thanks for visiting my blog! 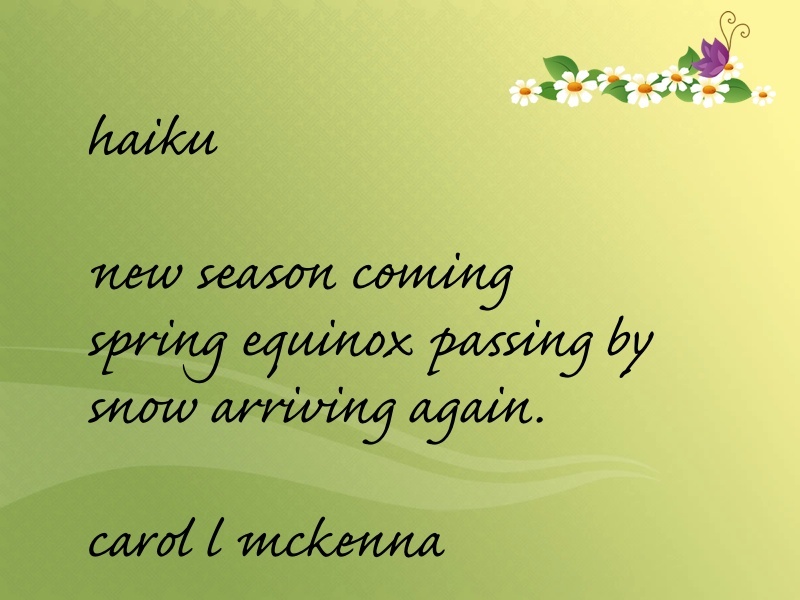 Love your Haiku in this post. 'Tis life in New England, indeed! Great shots of the ducks and rain (and of course Art Muse). Let's hope Spring comes for a visit soon. It seems that winter won't go away, wherever you are at the moment. Love the quackers and also the multi-coloured bird house. Still snowy and cold here in Michigan. your 'quacker meeting' is great - some of the ducks are in such perfect rows.....and, I agree, the Vernal Equinox has definitely walked on by....Carol, did you know that a window about some computer product opens when I click on your site? Love the shot of the ducks and your cute doggie! Our weather changes daily. 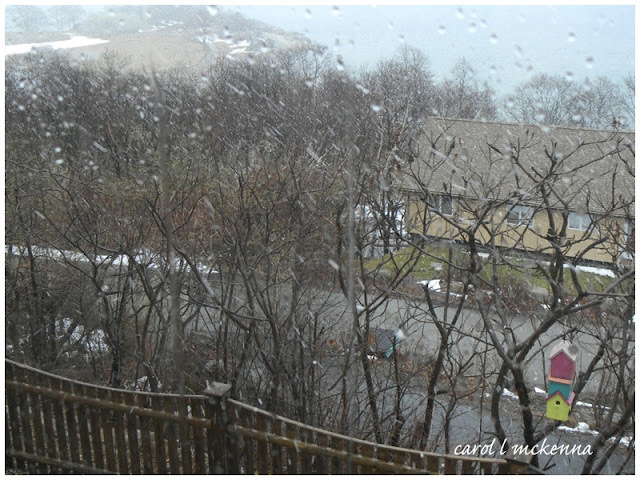 One day it is warm and sunny and the next day it is cold and snowing! It just can not make up its mind just yet. Spring is here! a unique take of the prompt! another snow in spring... this winter doesn't go down without putting a fight! This is my first California spring in almost 20 years, and I'm feeling almost guilty about how nice the weather is. If it makes my New England friends feel any better, we do have another wind advisory for tonight (gusts up to 50 mph). I'd almost prefer the snow! Glad to see you're getting all your ducks lines up. New England : If you don't like the weather, wait a minute!! Lovely photos as always! Great shots! We are cold and it doesn't look like it's going to warm up anytime soon. You just can't seem to say good-bye to the snow, can you? 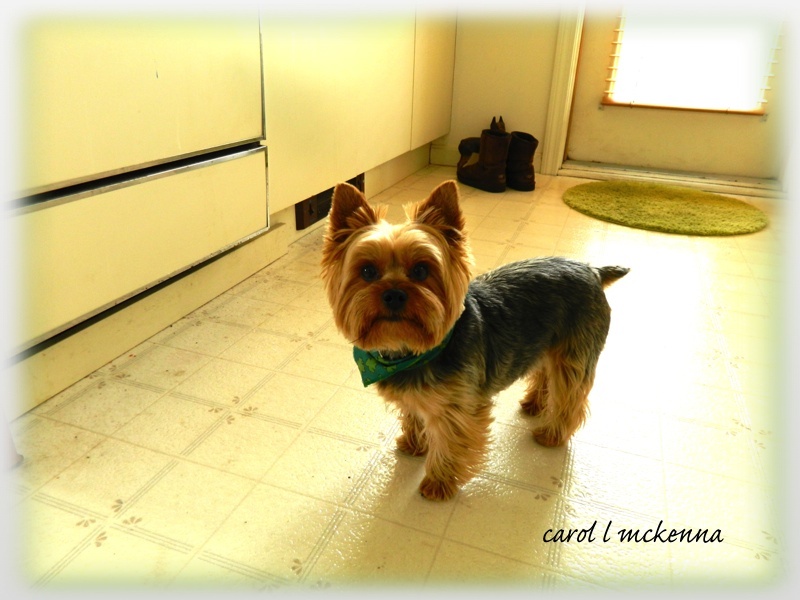 Carol, I love your little pup-muse! And the Quaker Meeting is wonderful. ;-> Nice pics here. Thanks for visiting Walk and Click Wednesday! Love the colorful birdhouse in the second shot and your interpretation of Rock an Roll is very whimiscal! The equinox comes and goes...and still the snows fly (**sigh**). 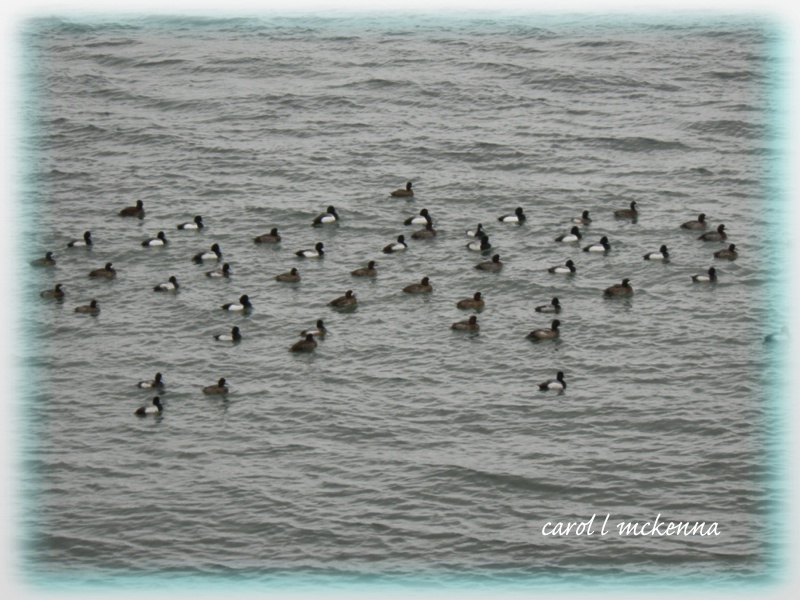 The pictures are wonderful~love the gathering of ducks! It does seem like spring just isn't ready to arrive. I'm ready for some sunshine and green growth. Lovely post Carol, love the haiku you've written for today's prompt of Carpe Diem. Gives me a feeling of joy and hope. Lovely post Carol, I love the way you have used the prompt for today's episode of Carpe Diem. Gives me a feeling of joy and happiness, but also of hope. My eye went to that colorful bird house. This is something you would see in Key West. Major love! Did you build this? Well It may be Spring but noone told the weather in my part of the UK it's pouring and cold....Love your photos .. visiting from Walk and Click Wednesday..
Well, sometimes down here we wish and wish for snow. . . but we always want what we can't have. Maybe we should just be thankful no matter the weather. New follower! Lovely shots and i love tour little dog. I always love seeing that sweet pup! 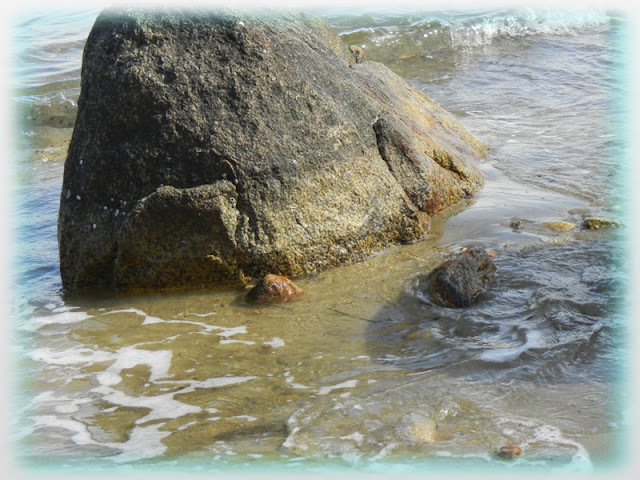 And those rocks ... Is it time to go to the beach yet?? Love the quack quack meeting, just like our politicians only they are not that cute ! and your doggy standing in the kitchen is just adorable ! Though I'm jealous of your snow, I hope you see spring soon! Awwww -- love your sweet puppy! Lovely images today Carol. Hi! Beautiful captures! Your Haiku is very cool this time too. Adore your photos...Quaker's Meeting :) Not spring in PA yet though trees are trying to stay on schedule. We've got beautiful weather today, rather like your rock 'n roll photos! PS. Such a cute doggie. Spring arrives with a flurry! Enjoyed your post. Haiku timely for here as well! Those ducks must all be quacking their displeasure at the return of winter. Over here it's cold and damp, but no snow - thank goodness! Rock and roll and rurality! It sounds like winter is hanging on with a vengeance! I'm hoping it hangs around here all summer! I'm not looking forward to 115 degree temps!